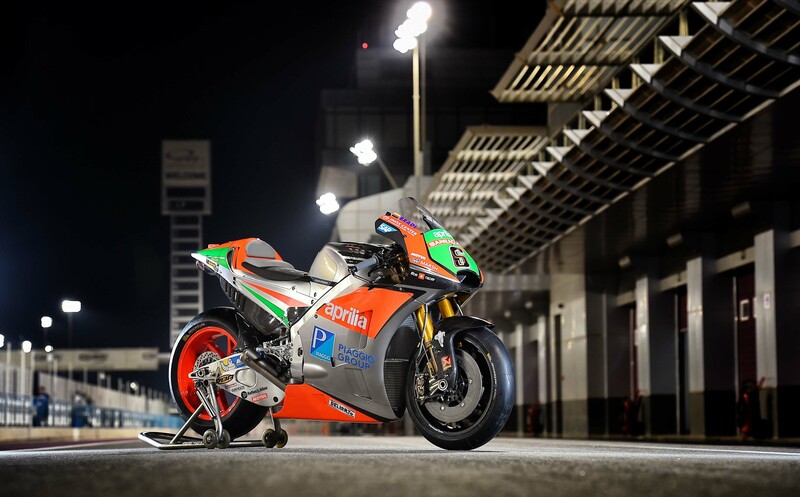 MotoGP testing is underway in Losail, Qatar right now, as the paddock gets ready for the season-opener in a little over two weeks’ time. 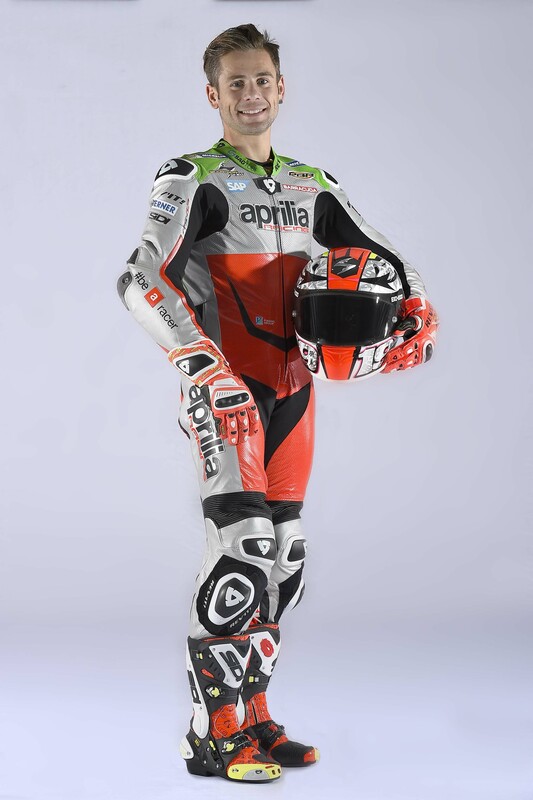 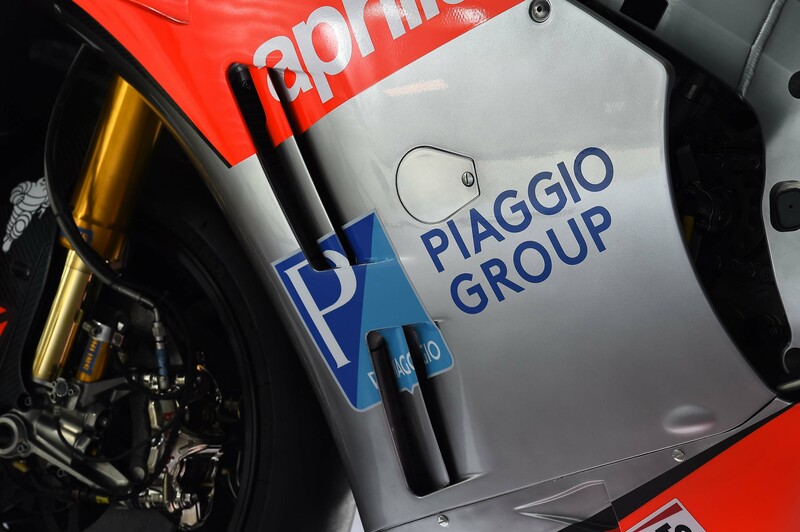 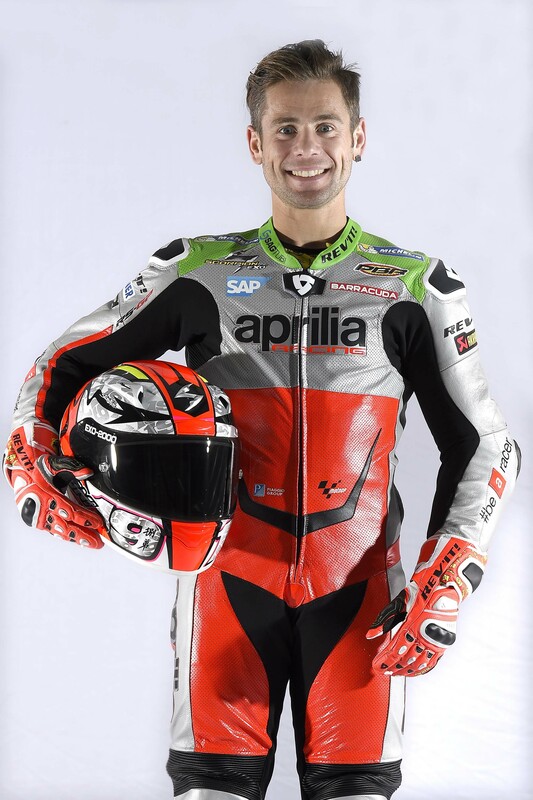 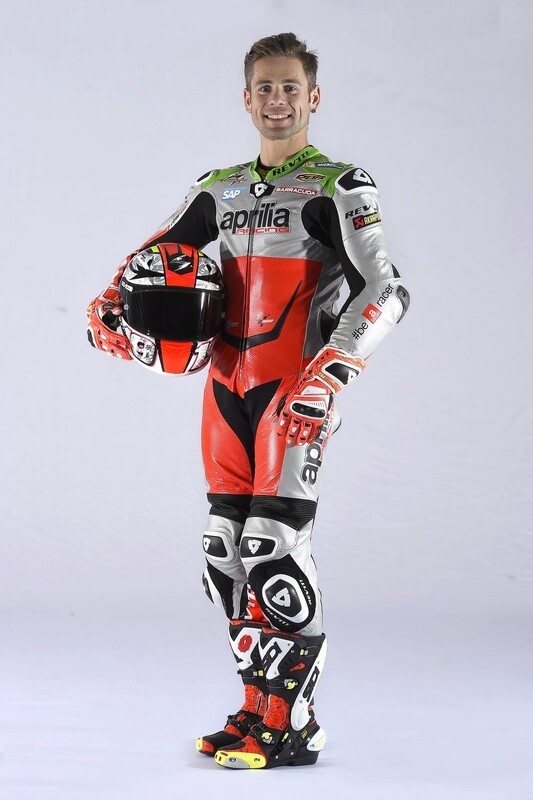 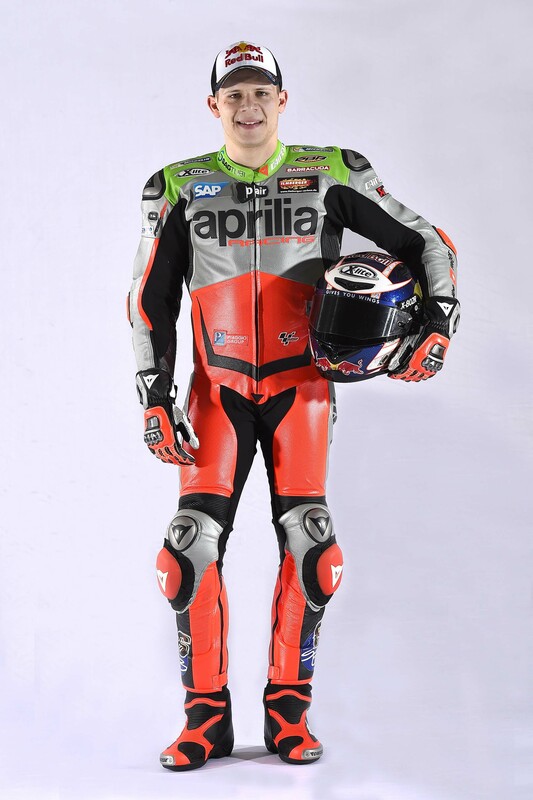 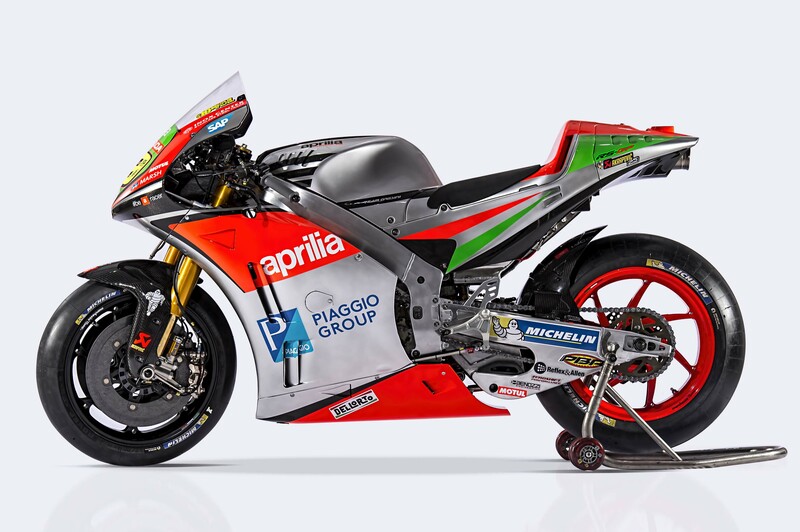 As such, we are seeing teams debut their liveries, and none of the unveils are more anticipated than that of Aprilia Racing. 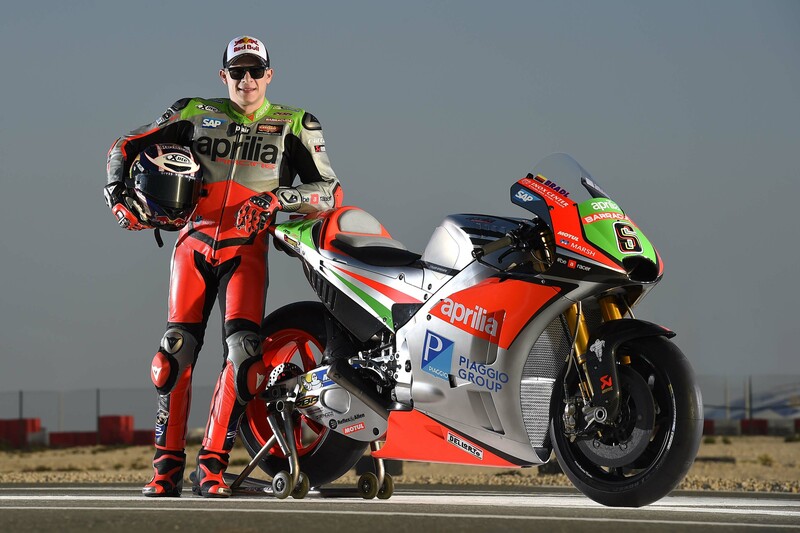 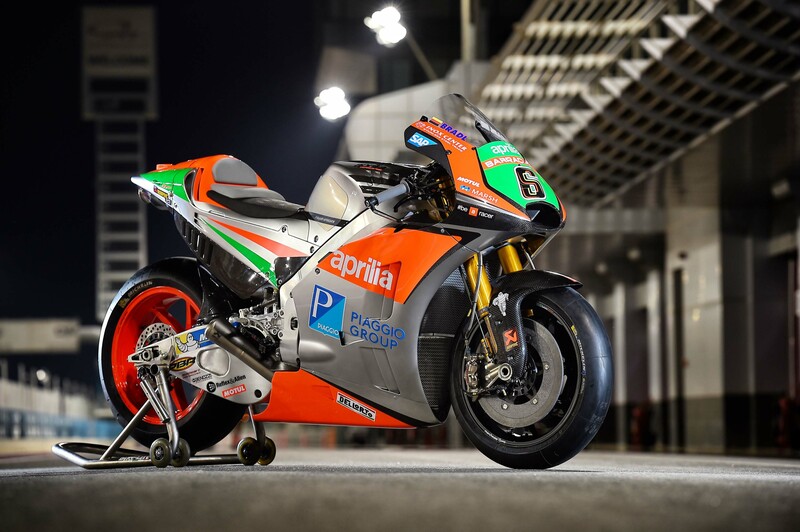 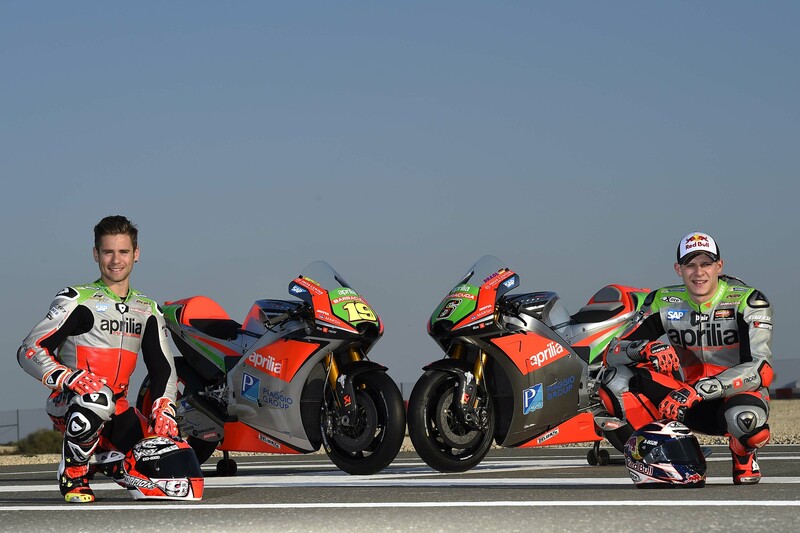 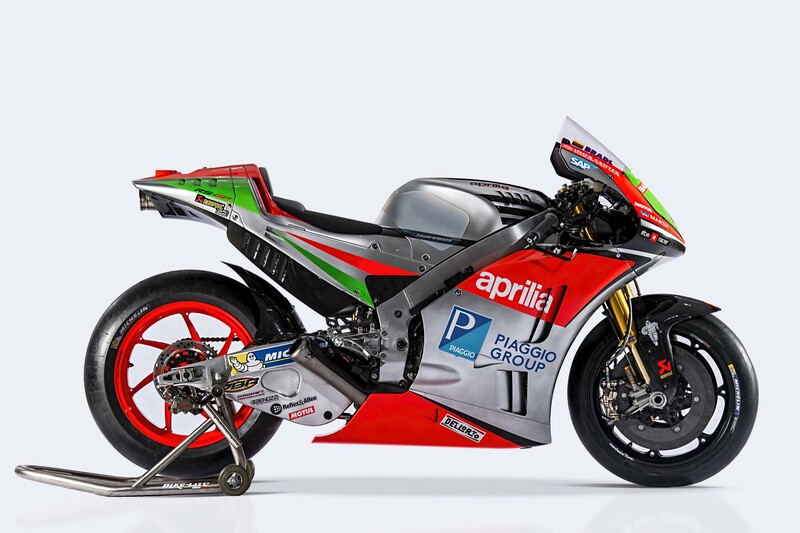 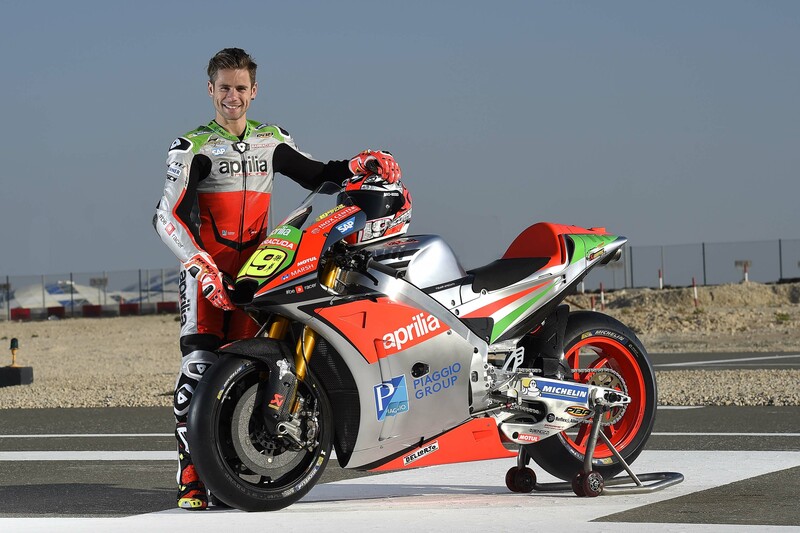 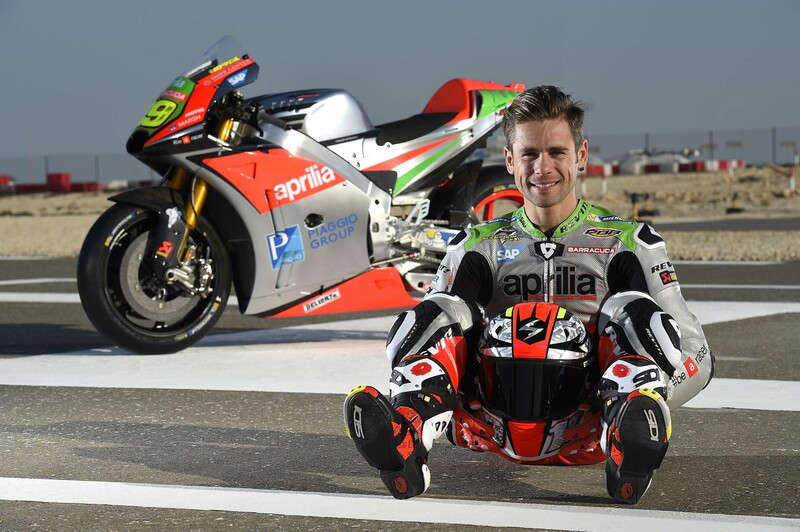 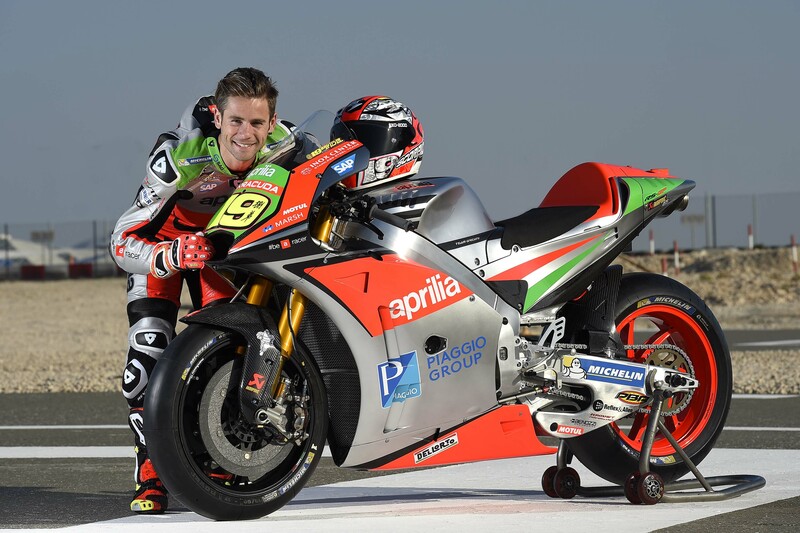 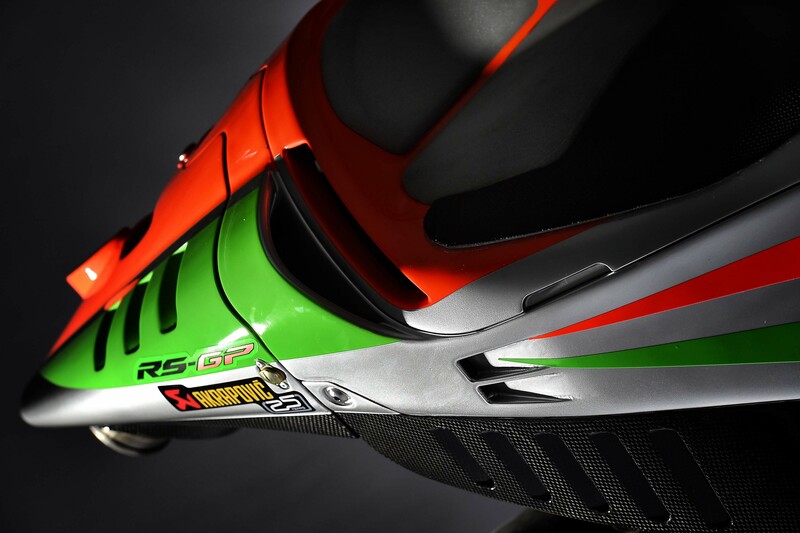 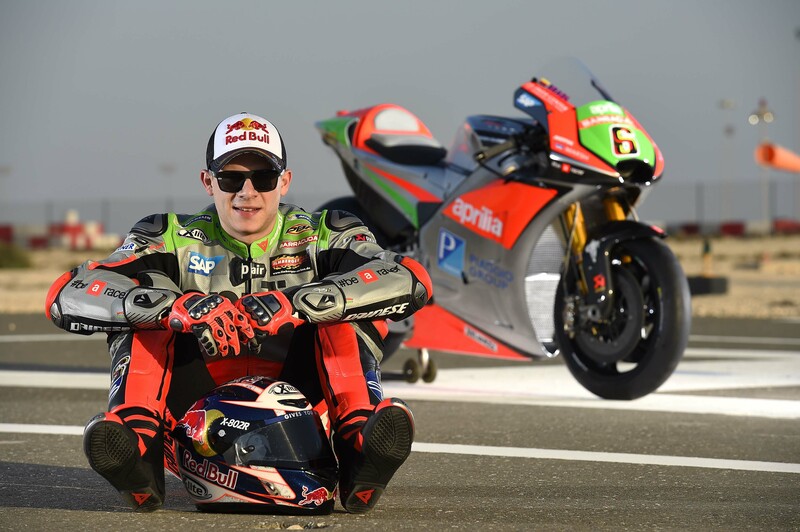 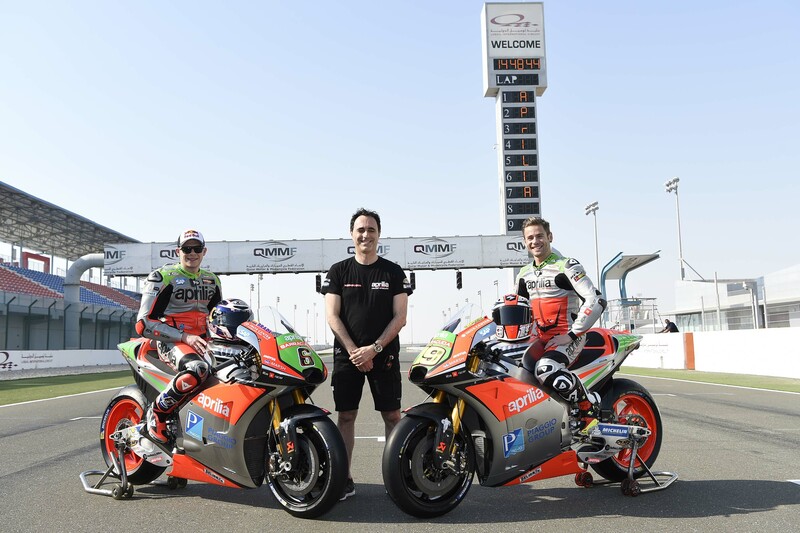 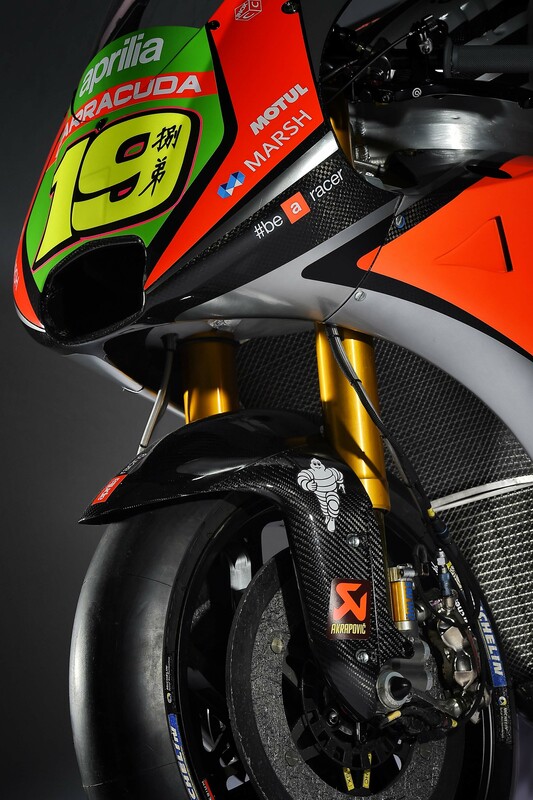 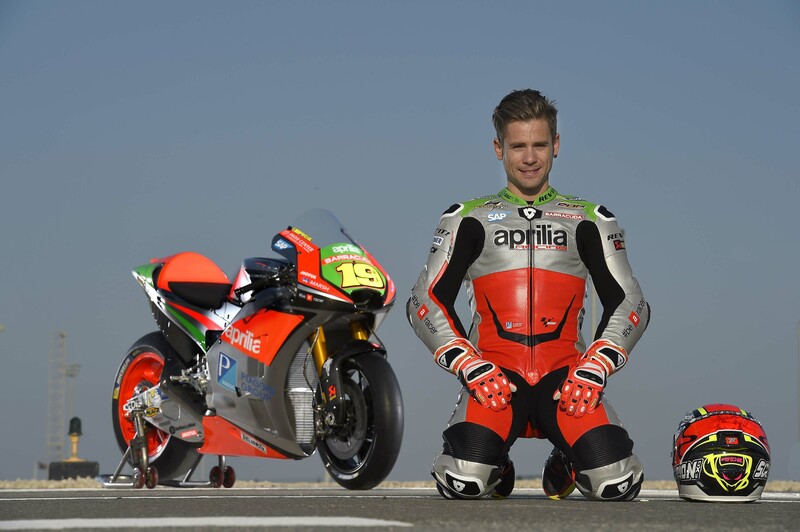 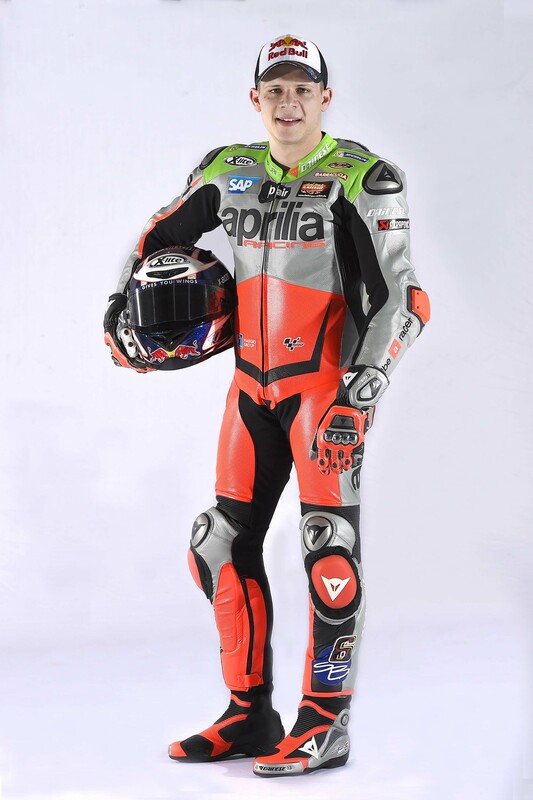 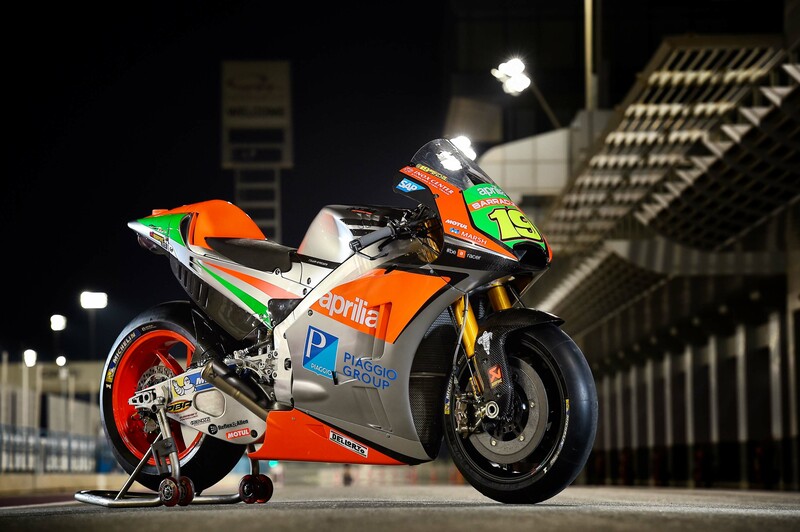 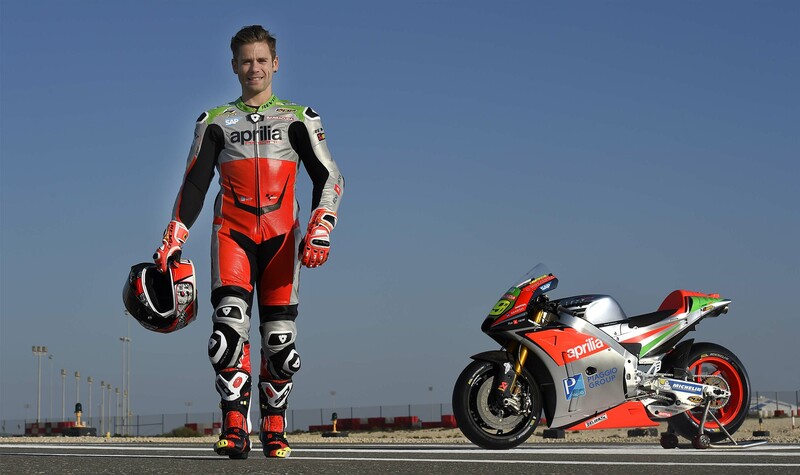 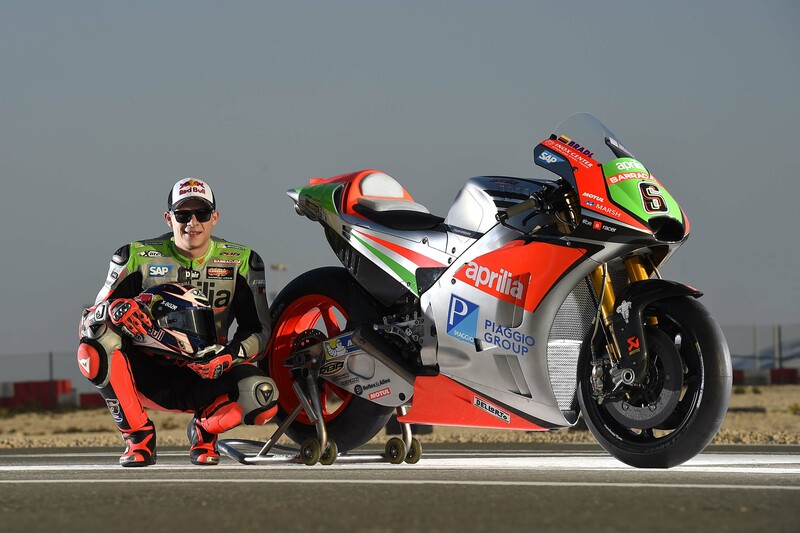 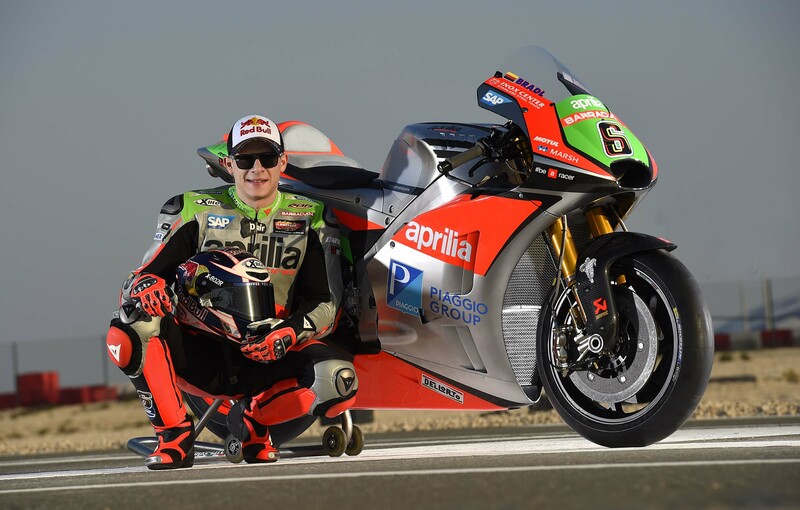 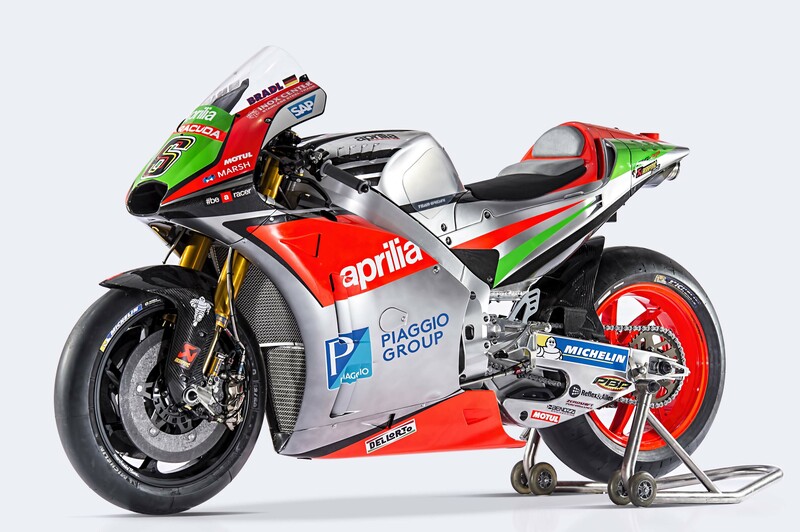 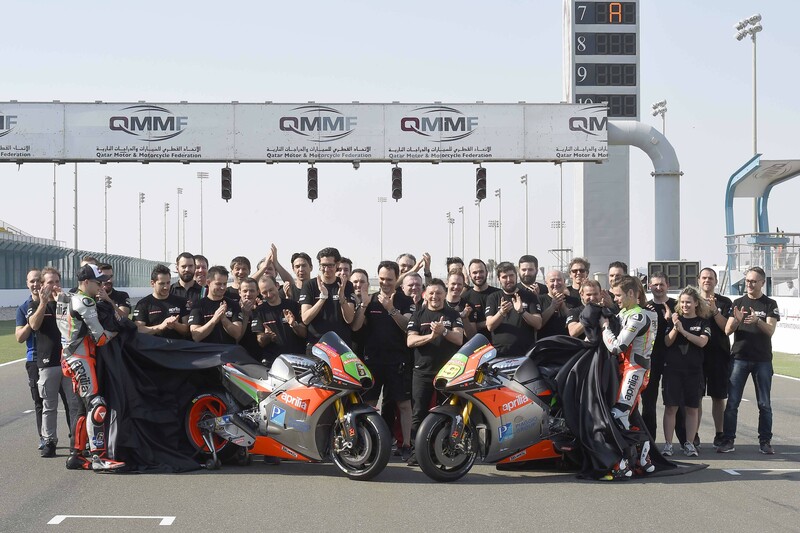 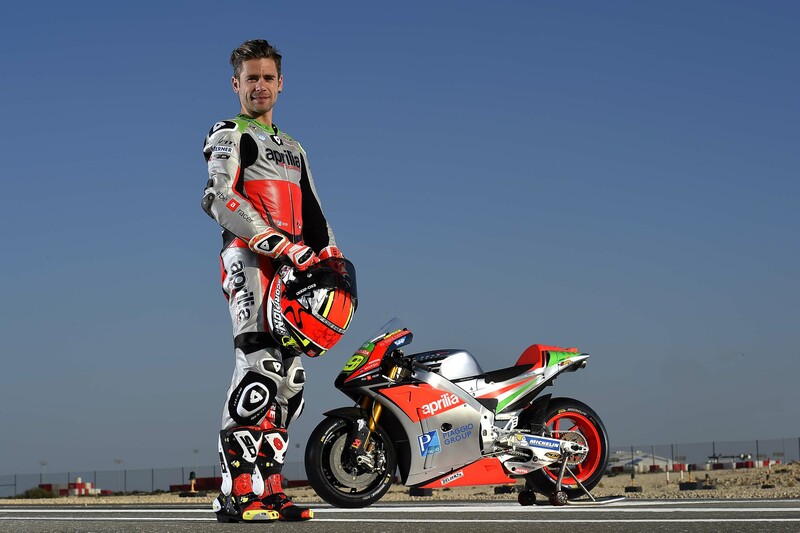 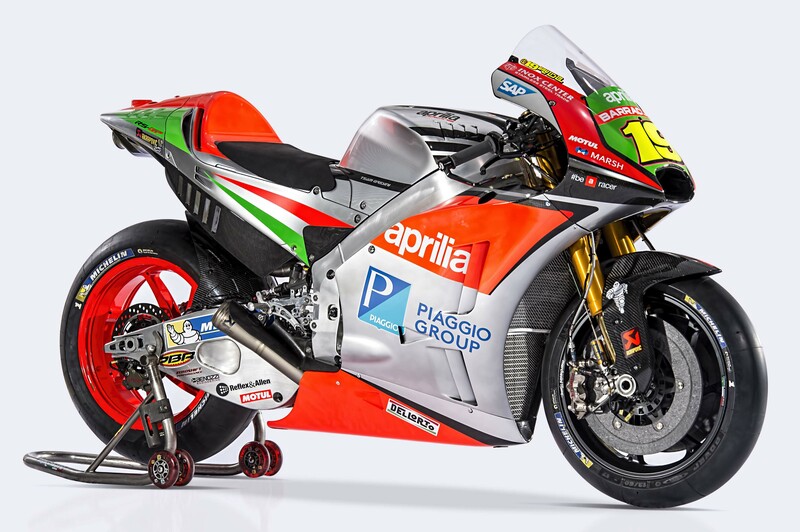 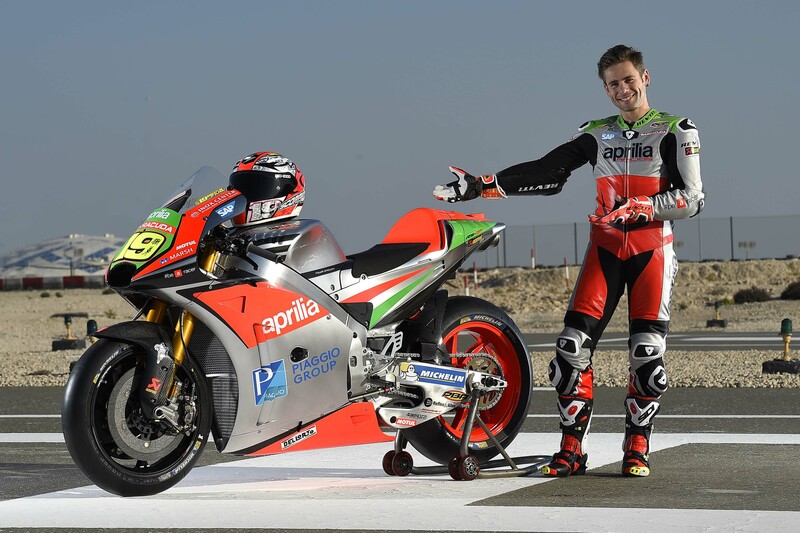 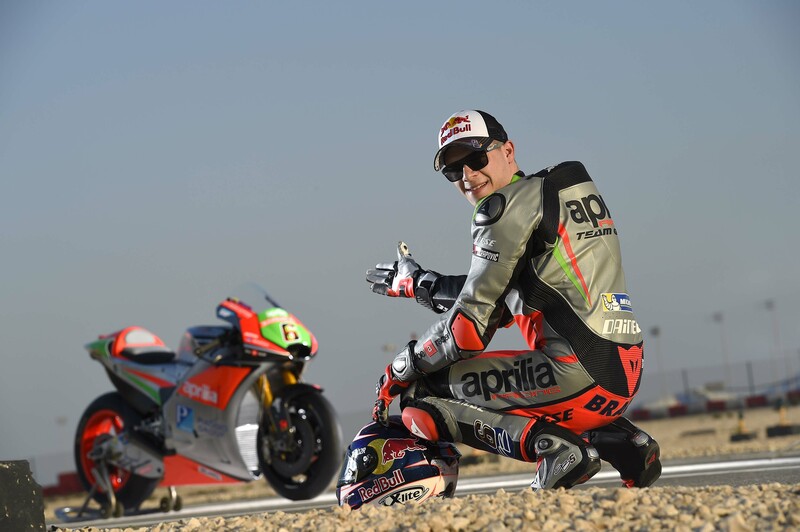 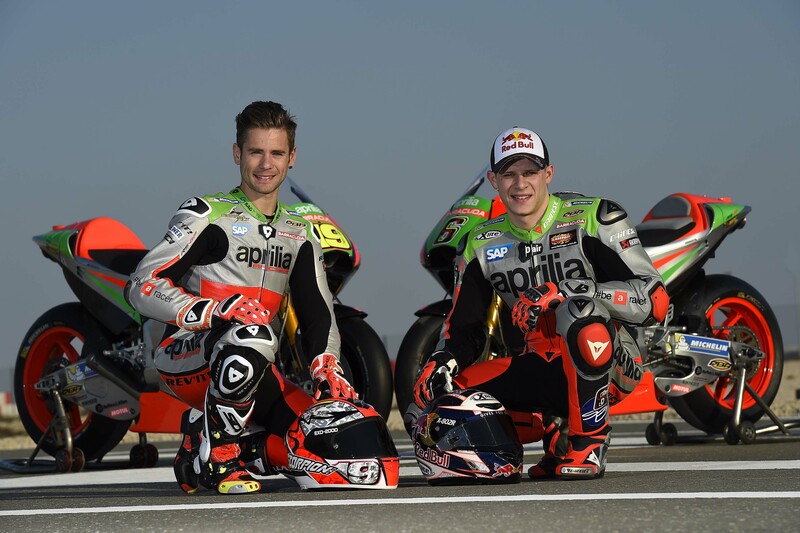 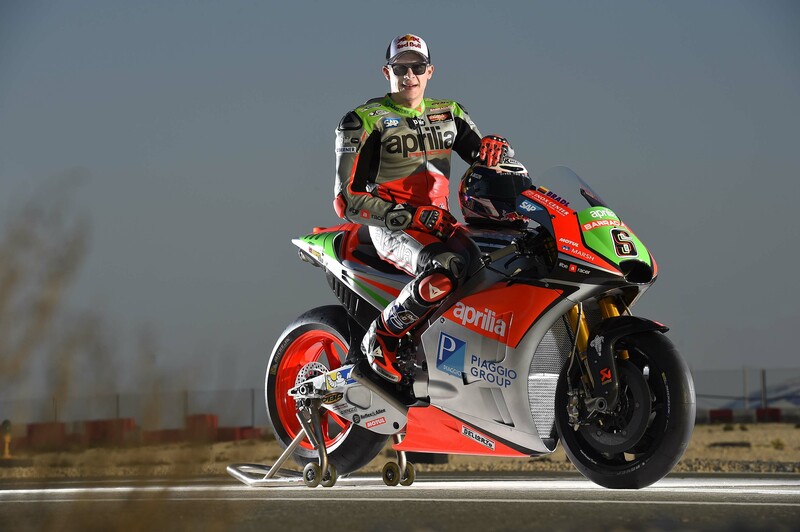 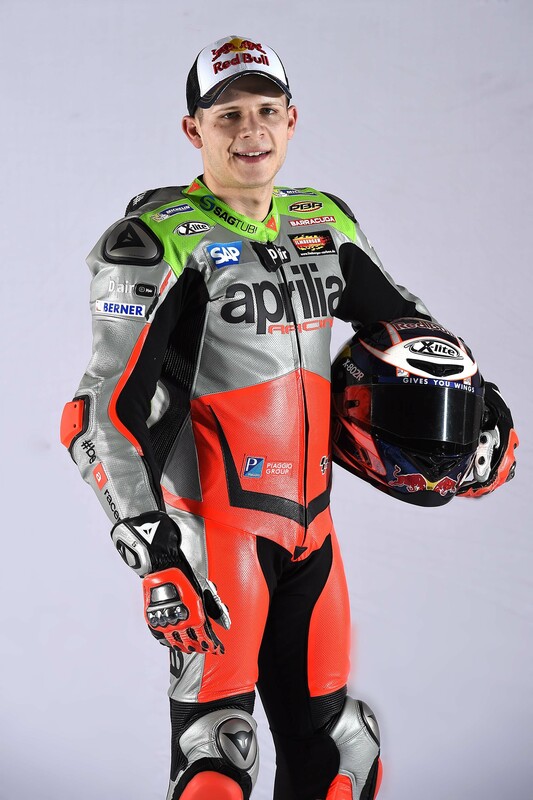 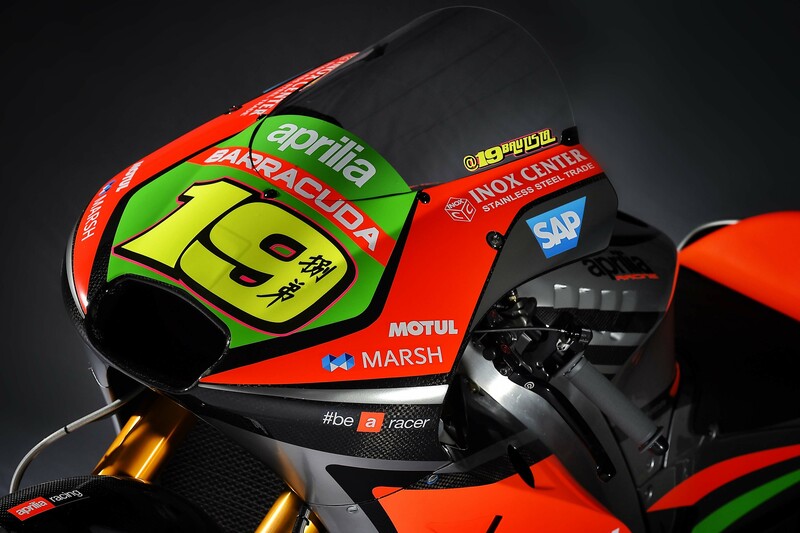 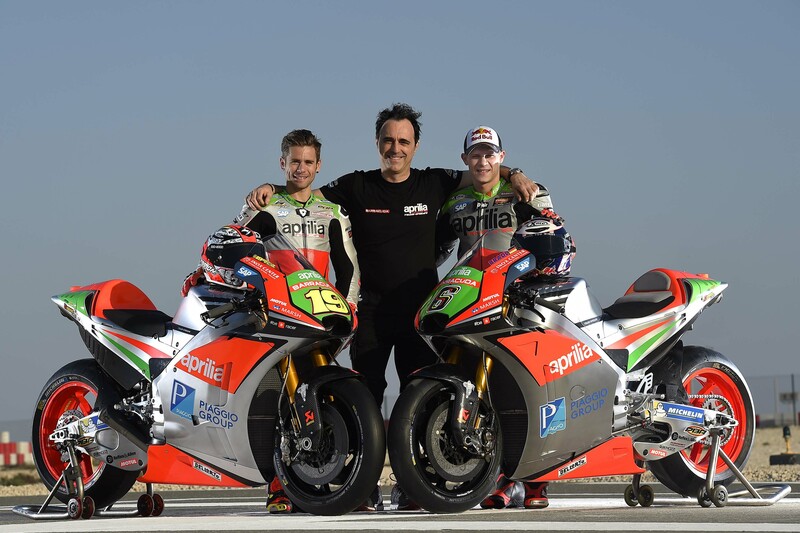 The Noale brand has been hard at work developing a brand new MotoGP race bike, and while the name remains, the 2016 Aprilia RS-GP is a completely new machine for riders Stefan Bradl and Alvaro Bautista to tackle. 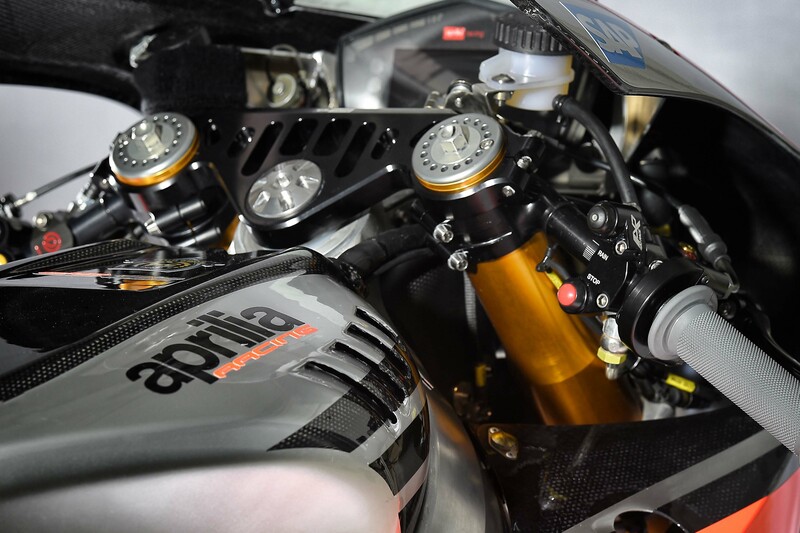 Aprilia says it is using a “narrow” V4 engine, which by definition would mean anything less than 90° in the cylinder head angle. 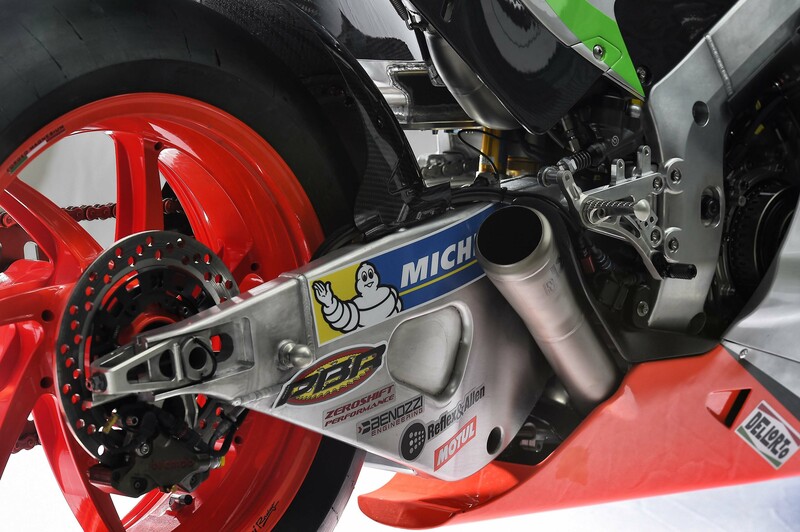 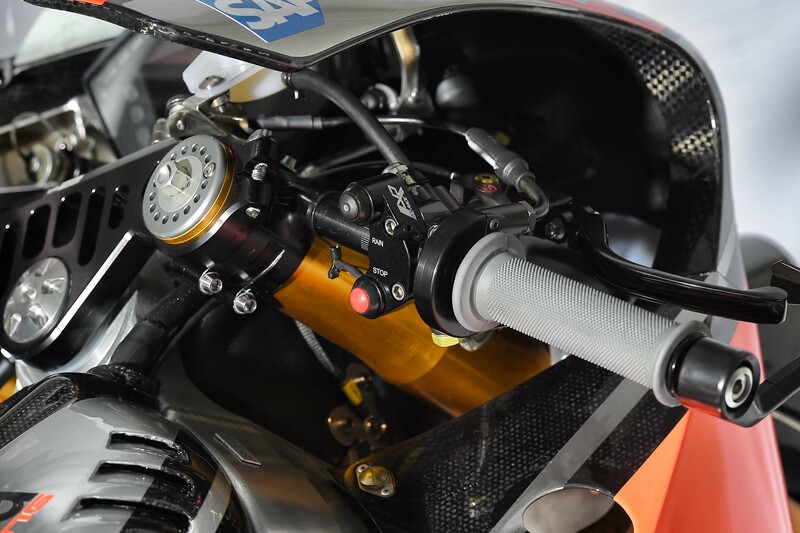 Paddock chatter suggests that the new RS-GP does not share the 65° cylinder head angle of the RSV4 superbike though, which should make for good speculation during the season. 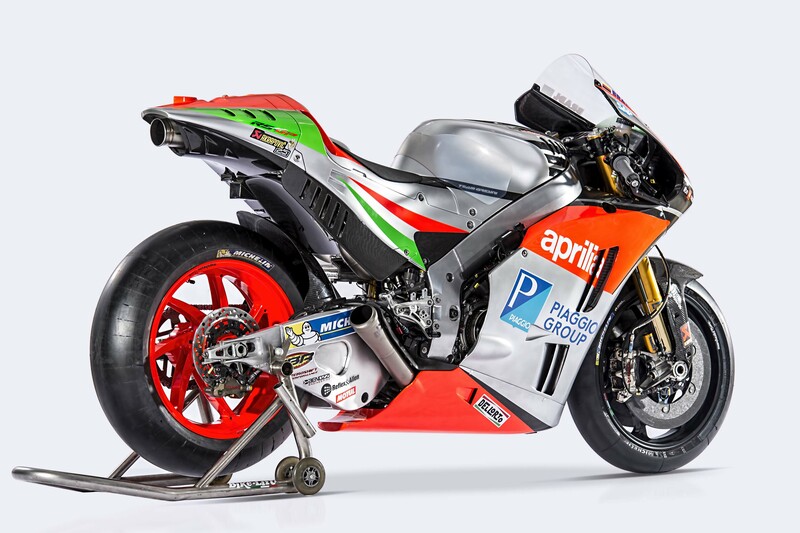 Rated at over 250hp, the Aprilia RS-GP uses pneumatic valves, and has a counter-rotating crankshaft. 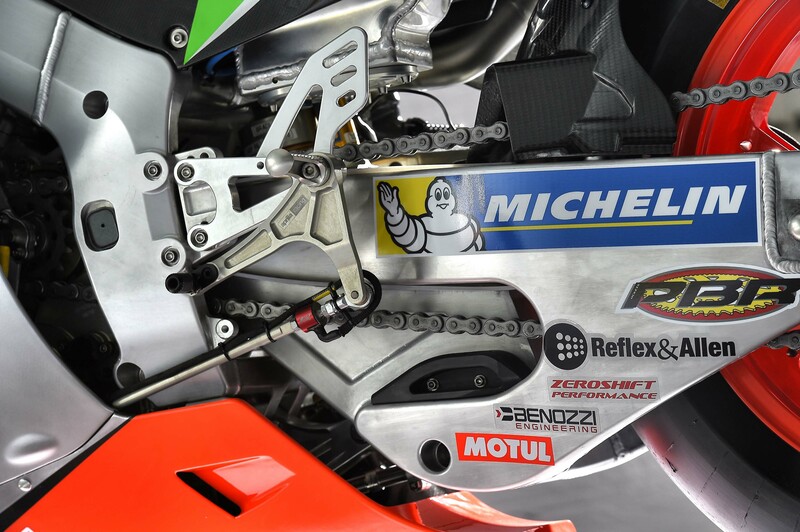 This is mated to a gearbox that handles seamless upshifts and downshifts. 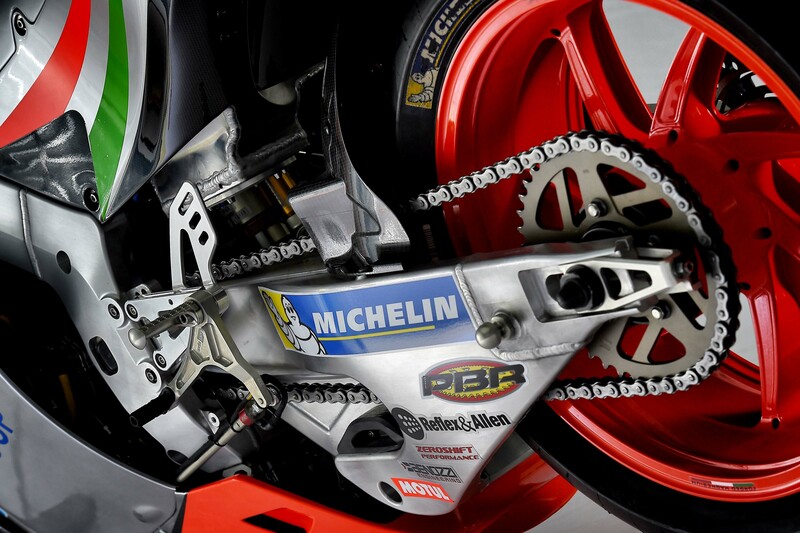 The frame is an aluminum twin-spar design, with the swingarm also made of aluminum. 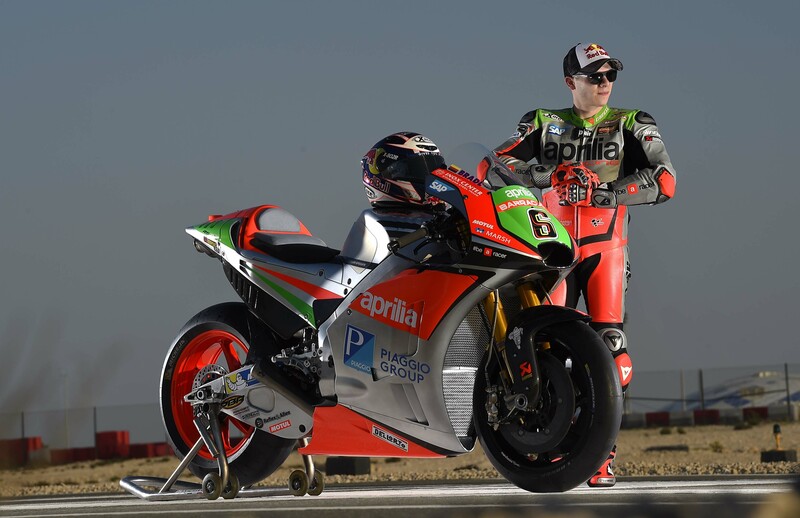 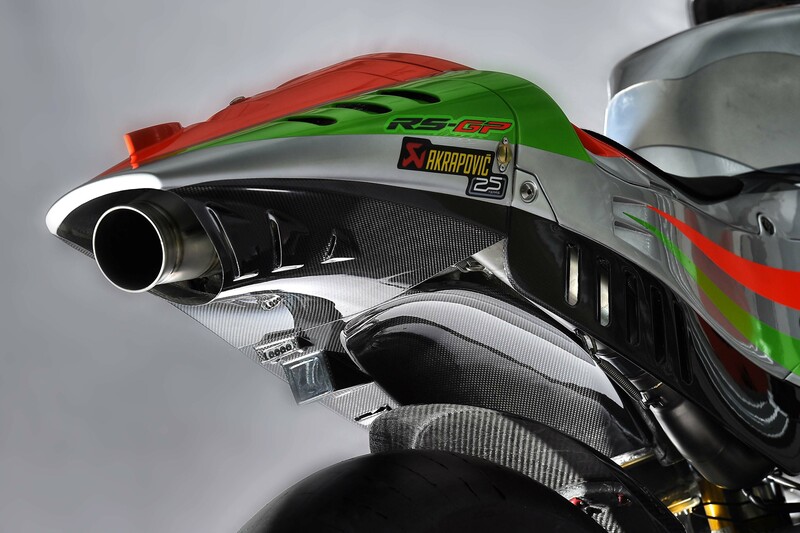 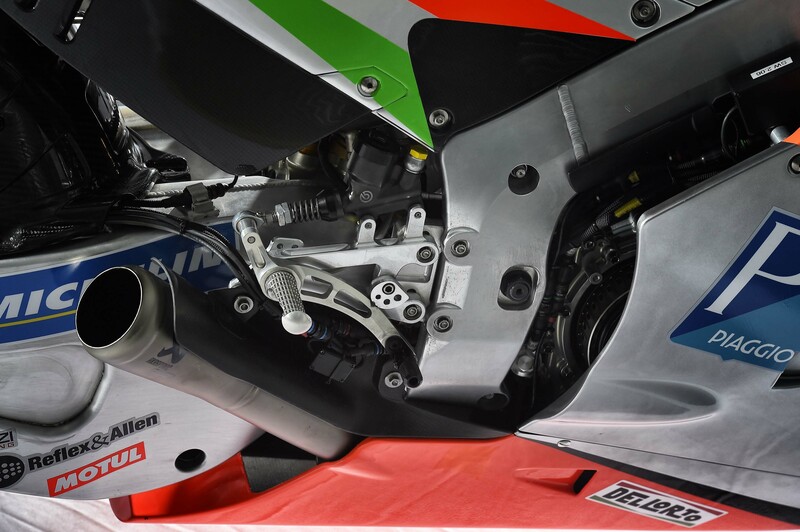 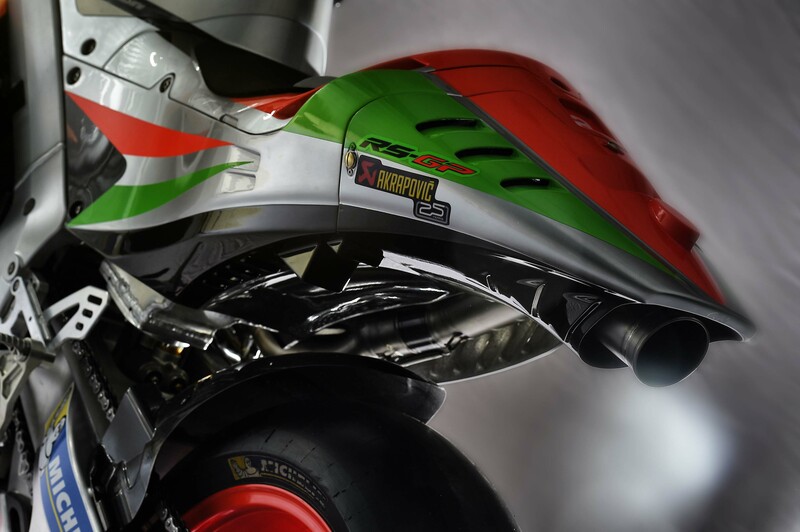 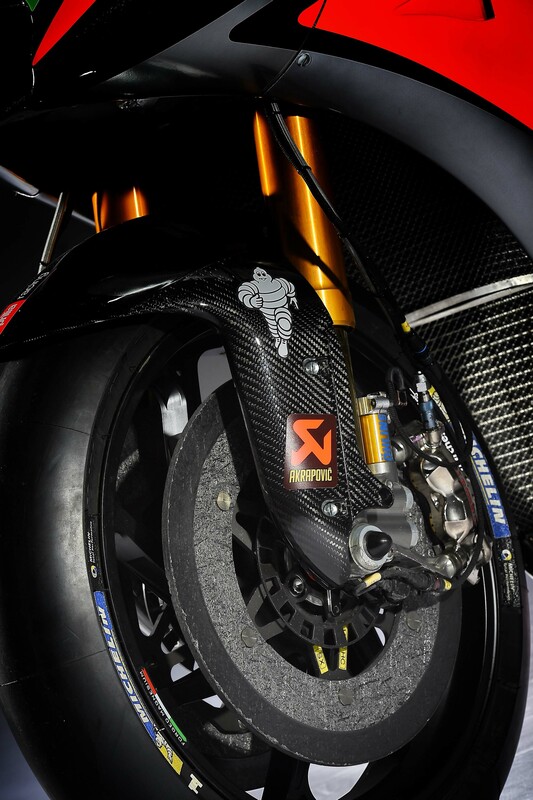 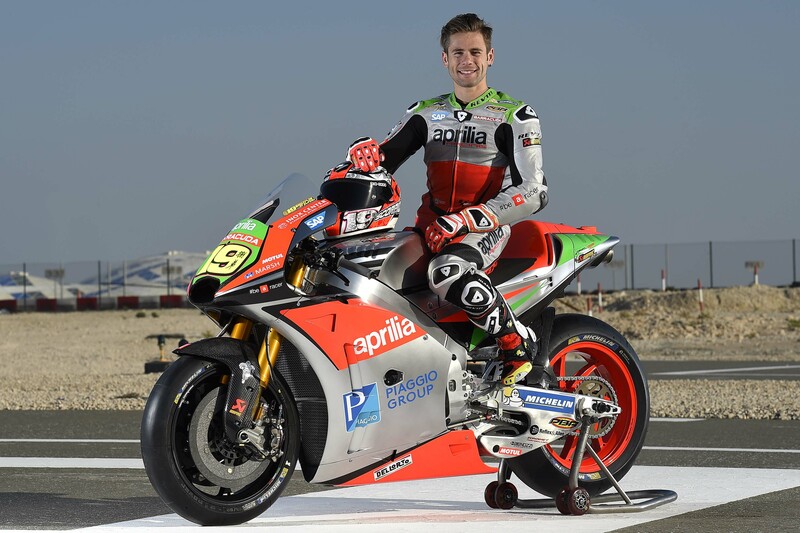 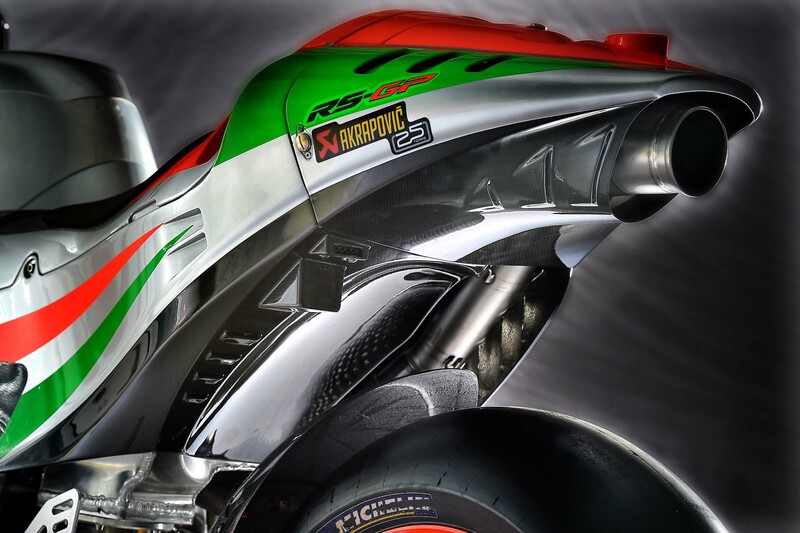 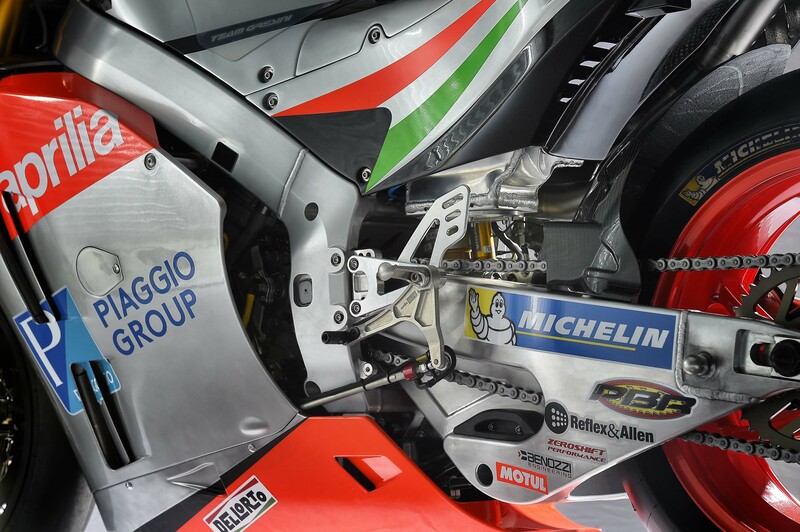 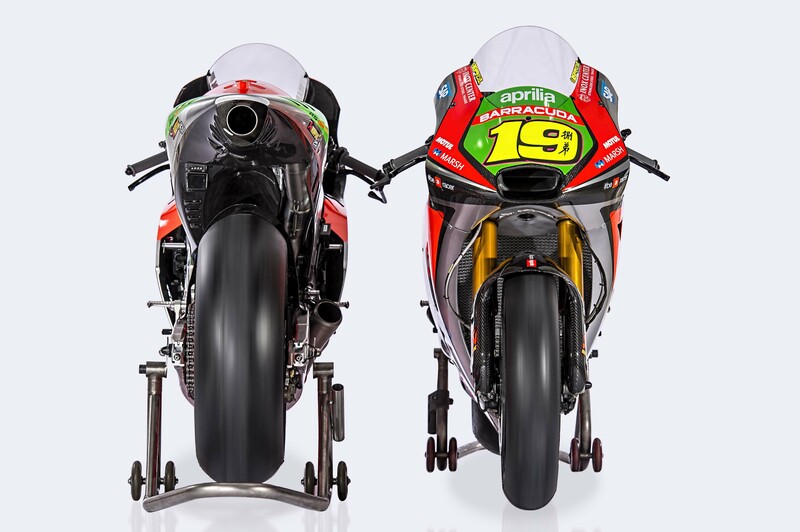 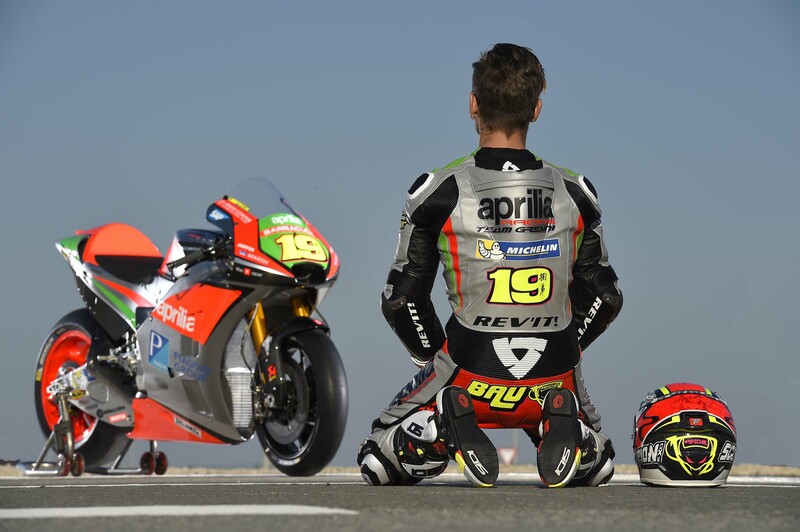 Aprilia isn’t disclosing the weight of the 2016 RS-GP, but we can expect it to be at, or very near, the minimum weight requirement for MotoGP machines – thus roughly 20 lbs lighter than its predecessor.